By producing your promotional items in the spirit of our visual identity, you strengthen the Wright State brand. 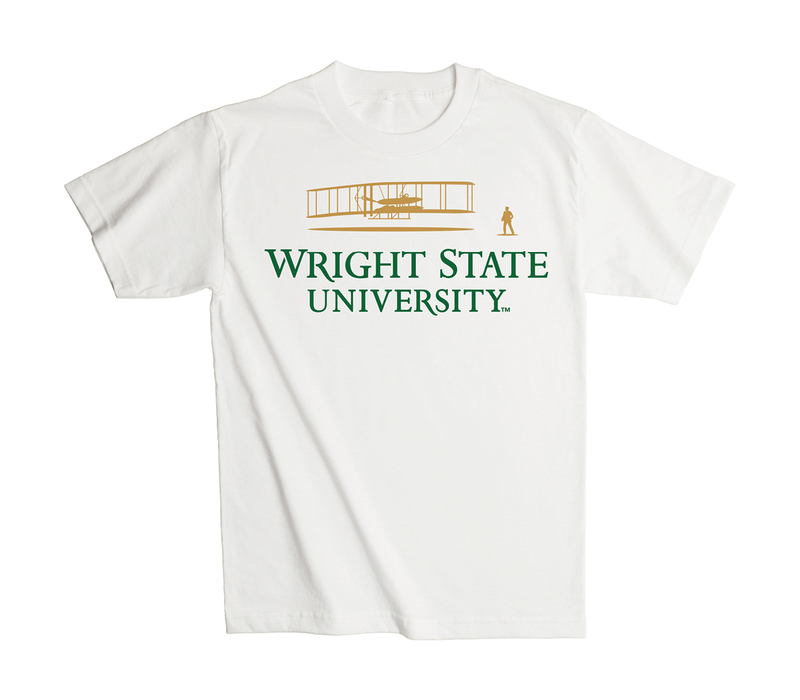 The Wright State colors and brand must be recognizable and prominent on all promotional items. All items must contain at least one branding element, such as a biplane logo or wordmark somewhere in the design. Wright State's primary colors should be the dominent colors that are used in the promotional item. For example, T-shirts, pens, mugs, etc., must be in acceptable shades of green, gold, gray, black, white, or off-white. Secondary colors can be used in a limited capacity as accents or to create a more individualized design. However, secondary colors should not be the prominent basis of the design. If the promotional item and design do not convey that it is from, by, and about Wright State University, it is not in compliance. The university has entered into an agreement with Learfield, which protects, promotes, and controls the commercial and noncommercial use of Wright State University's registered trademarks, words, logos, and symbols. This agreement includes items produced for revenue generation and items used for gifts and promotional purposes. When a university department or student organization becomes involved in developing products bearing Wright State University's marks, such activities must be coordinated through the Office of Marketing, accompanied by artwork or graphics and details as to how the university mark will be used. The artwork or graphics must be approved by the Office of Marketing. All departments and student organizations must use a licensed manufacturer to produce the items. A list of licensed vendors is available through Printing Services, the Office of General Counsel, or the Office of Strategic Procurement.